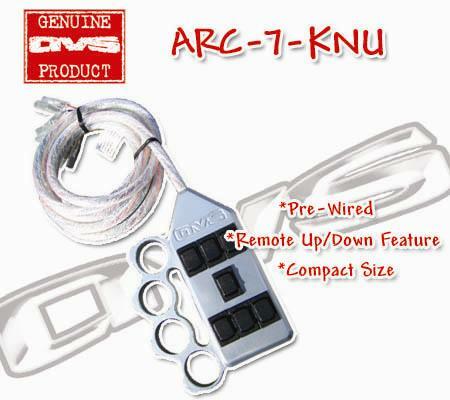 AVS switch box 7-switch KNUCKLE. Check out those knuckles-this controller is insane! This switchbox has a brass-knuckle shaped billet aluminum housing with 7 rocker switches to control your vehicles air suspension. 7-ROCKER switch controller constructed of polished aluminum with "knuckles"
Other sites charge $229.99 for this switch-box!